Ron has grown and planted trees since high school, making greenhouses and nurseries constant fixtures in his life. 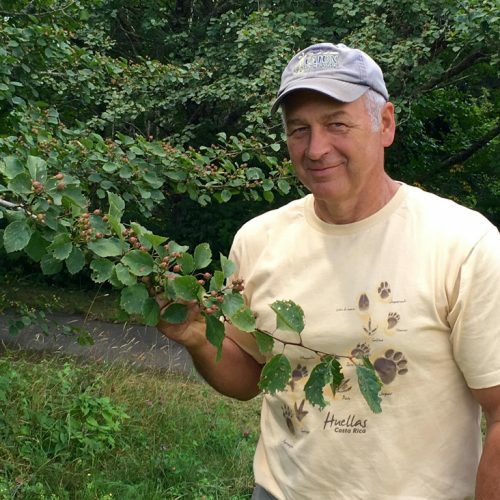 He has written tree guides, and after many years of work and pleasure, he has produced his most recent book on hawthorns, and he even named a new hawthorn species as a result of his devotion to the tree. Enjoying the outdoors, seeing new places, hiking and encountering botany are Ron’s biggest rewards and his daily fortune. He envisions his future retirement consisting of traveling with a tree guide and a jar of peanut butter in place of a tour guide and itinerary dinner.